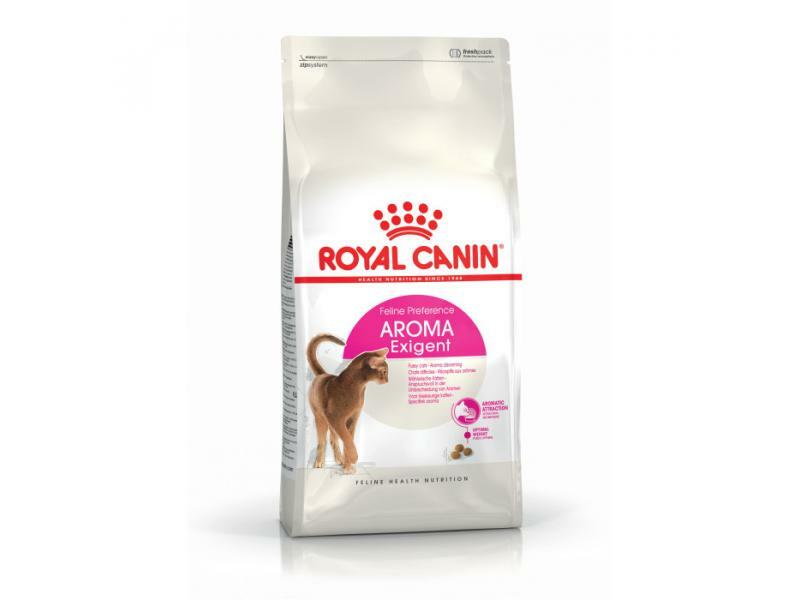 Royal Canin Feline Preference Aroma Exigent is a complete food for very fussy adult cats. Suited to cats 1-7 years of age, this recipe has been specifically formulated to satisfy even the most fussy of tastes. The food has been created with a specific aromatic profile which will really appeal to your cat; encouraging your pet to naturally eat, while also providing them with a complete nutritional balance to ensure overall health, vitality and happiness. It can help your cat to maintain its ideal weight and body shape which is essential to health and mobility. It is also full of nutrients which help to encourage your cat's strong and healthy coat. Aromatic attraction - Some fussy cats are most attracted by a fishbased aromatic profile. AROMA EXIGENT is specifically formulated to stimulate the natural preference of these cats. Optimal weight - Adapted energy content to help maintain the fussy cat at ideal weight. Individual preference - Each cat has a natural preference when selecting food: aromatic profile, savour diversity or by protein level. Royal Canin has developed 3 different formulas to satisfy even the fussiest cats. There are currently no questions for ROYAL CANIN® Feline Health Nutrition Aroma Exigent Adult Dry Cat Food - be the first to ask one!